End of year figures for the South Wales based business show significant year on year growth. That, in addition to extensive capital spend in CNC and EDM machining and ongoing resourcing of the core injection moulding activities, sees Linear poised for a further wave of expansion through 2019/2020. 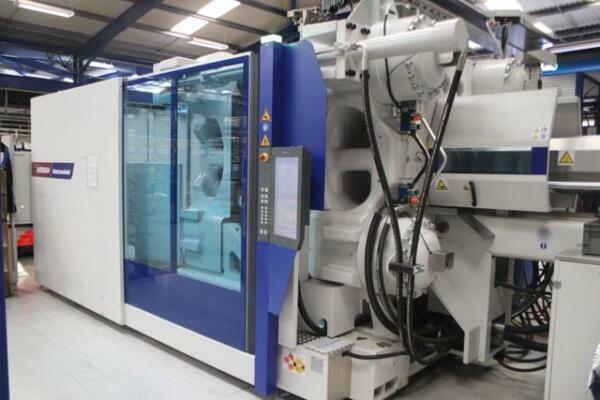 The decision to purchase a Wittmann Battenfeld MacroPower 1000 tonne injection moulding machine (IMM) and also a SmartPower 350 tonne IMM has now paid off handsomely, with Linear now commanding a go to reputation for quality manufacture of large parts. This expansion has been achieved by the 100 strong workforce under the leadership of Gareth Bassett, owner and MD, and Andrew Harrison, General Manager. Linear is located in a 52,000 sq. ft. purpose-built facility on the Treforest Industrial Estate, South Wales. The company’s employment structure is made up of approximately 25% indirect staff (admin, technical and management) and 75% direct staff (production personnel). The company’s broad skills base is part of its whole service offering; including a variety of assembly and packaging services. The workforce includes on-site trained machine operatives, time-served toolmakers/tool designers and professionals. The company’s markets are diverse, including office furniture, construction, aerospace, medical, and electronics. The ability to offer the customer technical support right from product design stage through to tooling development and prototyping, series tooling and manufacturing, then on to assembly with finished product dispatched as “ship to line” and “point of use” for the end customer. The ability to produce both plastic and metal components and assemblies, specialising in the over-moulding of metal inserts. This technology produces finished parts containing both metal and plastic into which the customer is able to integrate a variety of electrical, structural and mechanical features. The ability to remain both flexible and agile in a demanding market sector allowing for the manufacturing of rapid tooling concepts with typical lead-times of 2–3 weeks and offering series products to the customer in batch sizes ranging from single figures to millions. The results are here in this short video.